This entry was posted in #brexit, EURO, Europe, UKIP and tagged #brexit, #europedebate, EU, UKIP. Bookmark the permalink. 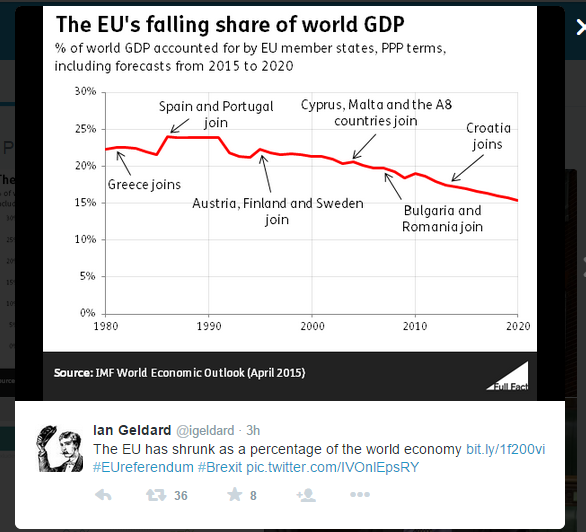 All it means is that the world economy is growing (much) faster than the EU economy. 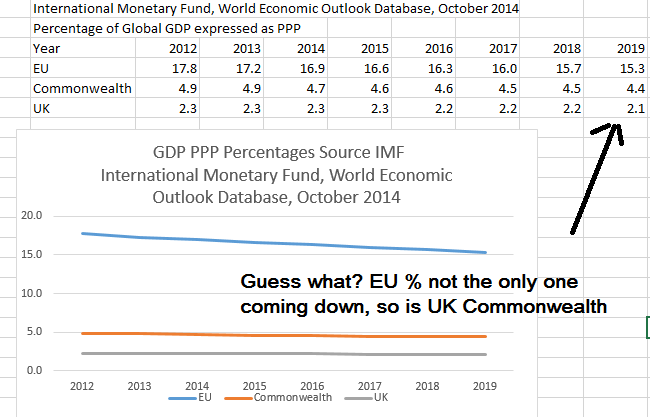 The EU share is going down, but the EU economy is still growing. Since this stuff is calculated in US Dollars, the exchange rate actually impacts all this quite a bit. If only economy and statistics would be so simple as some people pretend.